How to Play DVD on Apple TV? Apple Airplay allows wireless streaming of videos, audios and photos between devices. 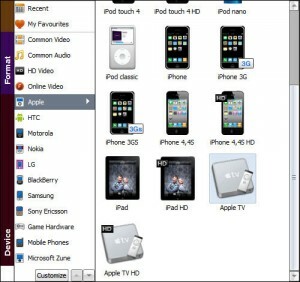 For example, a computer either in Windows OS or in Mac OS running iTunes can,throughout your network, stream videos, audios and photos to an Airplay receiver like an Apple TV in the living room. Many Apple-series-product fans may have a lot of DVDs (technically, the specification is called DVD-Video), and they may want to stream DVD to Apple TV, or airplay DVD to apple TV and play DVD on Apple TV. But the problem is that the DVD format is not compatible with Apple TV and can’t be streamed directly via AirPlay. So a solution must be figured out on how to play DVD on Apple TV. 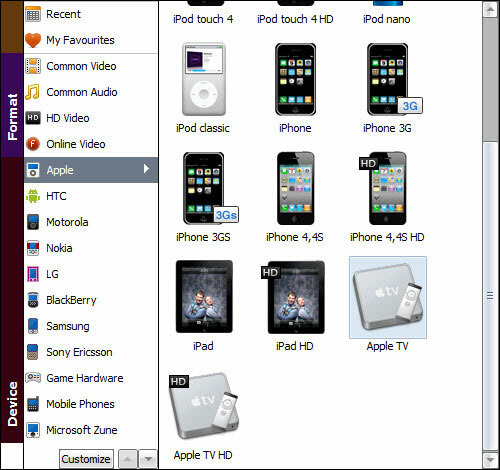 The whole process of playing DVD on Apple TV can be divided into four major parts: to backup DVD to disc, to convert the saved DVD to a playable video format(to convert DVD to Apple TV friendly format), to stream video with a computer and to play video on Apple TV. TV is a major part of people’s daily lives. People gather together around the big screens to watch big shows and big events. But traditional television cannot meet people’s growing demand. The pace of life is getting quicker and quicker, and people require some innovative ways to connect the big screens. Integrating apps with television is a popular trend right now. People would like to search what they want to watch on the big screens. This is the main reason why Apple TV comes into being. 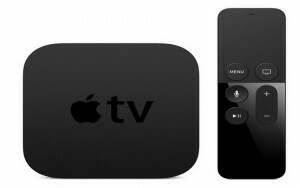 First unveiled in 2006 and then undated several times, Apple TV is a digital media player and a micro console developed by Apple Inc., and it is a small network appliance and entertainment device that can receive digital data from a number of sources and stream it to a capable TV for playing on the TV screen. Let’s first read a message from one who would like to watch DVD on Apple TV. “Can Apple TV play DVD? I just set up my Apple TV and was very surprised that when I played a DVD from my MacBook, it came out all grey on the Apple TV, which means I cannot play DVD on Apple TV due to copyright. Is there an Apple TV DVD player or something like that?” I believe more than one people will encounter with this situation. To play DVD on Apple TV uninterruptedly, you need to rip DVD to Apple TV, and the DVD ripping process requires a DVD to Apple TV converter.You may find it difficult to find a suitable DVD to Apple TV converter, but you are lucky to come across this article as I am to introduce 2 different DVD to Apple TV converters and the respective way to play DVD on Apple TV. 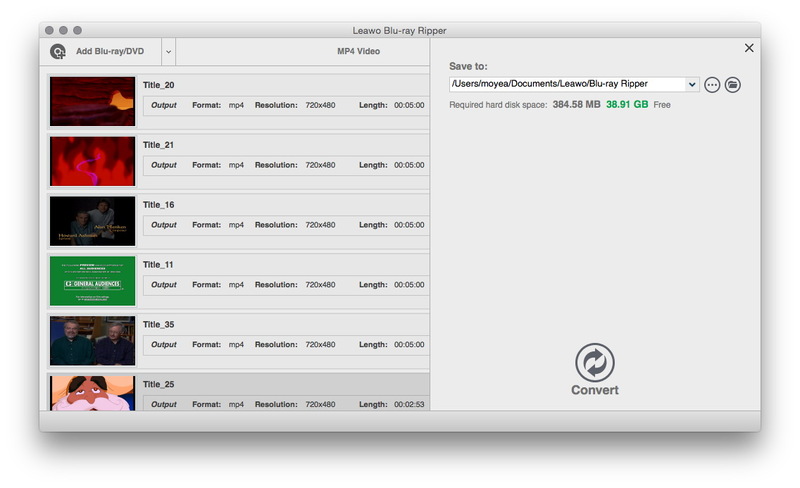 The first DVD to Apple TV converter is Aimersoft DVD Ripper and the second one is Leawo DVD Ripper. Both converters have two versions: Windows version and Mac version. 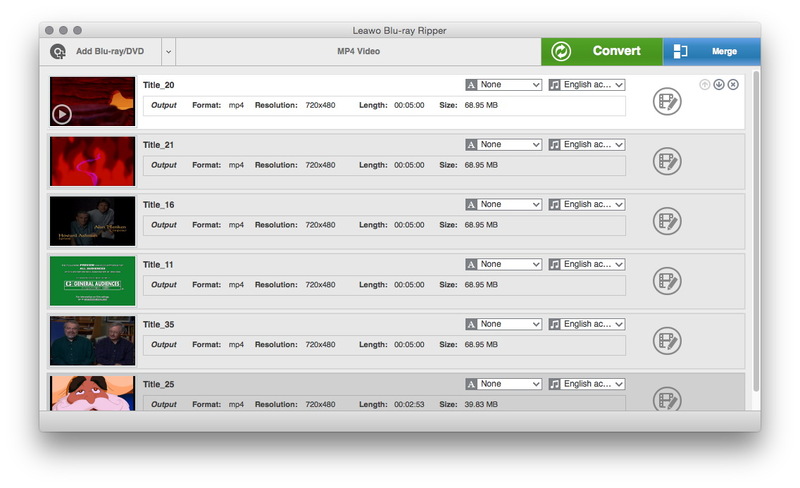 You can choose the suitable version according to your computer’s operating system.Equipped with almost the same functions, the two converters charge but Leawo DVD Ripper is $10 cheaper than Aimersoft DVD Ripper. You can see the pictures of user interface below. Other free DVD to Apple TV converters on the market pale in comparison to those two converters as they possess many advantages worthy of praising. They can decrypt DVD that is under copyright protection, rip DVD to video of different formats supporting a wide range of devices without quality loss and allow users to choose subtitle and audio track before ripping process. However, you are advised to choose Leawo DVD Ripper for cost saving. Note: It is against the law to rip DVD of which you do not have the copy right. You are advised to gain the permission or obtain the copy right of the DVD disc before you rip DVD file. Before ripping process takes place, you should download and install Aimersoft DVD Ripper or Leawo DVD Ripper. Please take note that network connection is required. Download and install Aimersoft DVD Ripper. Download and install Leawo DVD Ripper. With those two DVD to Apple TV converters in hand, you can start to rip DVD to Apple TV in two ways. Click “Load DVD” or “File” > “Load DVD folder” to choose your DVD-ROM in the pop-up window and click the “OK” button to import the files. As you can see, you can either convert the whole DVD or just choose the chapters you want to convert. Normally, DVD movies have several subtitles like English, Chinese, French, Japanese, and so on. You can click “Subtitle” to choose the one you need or select “No Subtitle”. For the audio tracks, simply click “Audio Track” and select the one you want. After that, click “Profile” and choose “Apple TV” as the output file format from the drop-download format list for your Apple TV. Finally, click the “Start” button to rip DVD to Apple TV. In a few minutes, you will get the converted movies. And then, just use iTunes to stream the files to Apple TV and enjoy them! Launch the DVD to Apple TV converter, click “Add Blu-ray/DVD” button to load source DVD movies. Click the drop-down box on the left side of the big “Convert” button and then select “Change” option to enter “Profile” frame and choose desired video format from “Format” section. 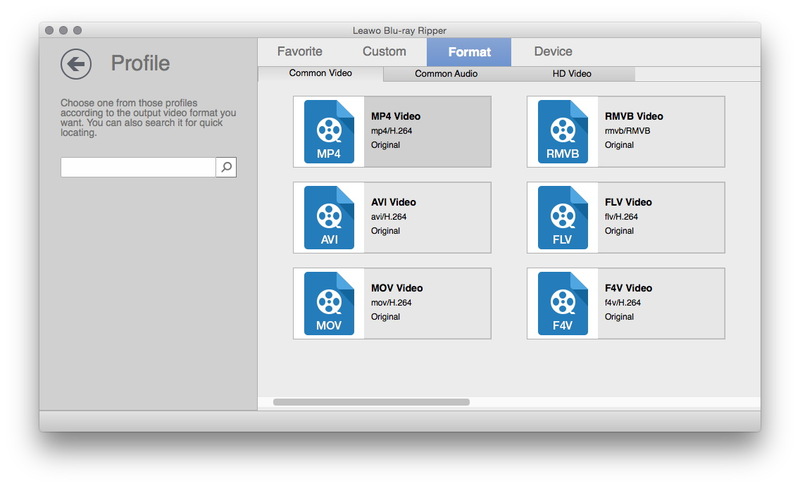 You could select MOV/MP4 from “Format” group, or “Apple TV “directly from “Device” group. 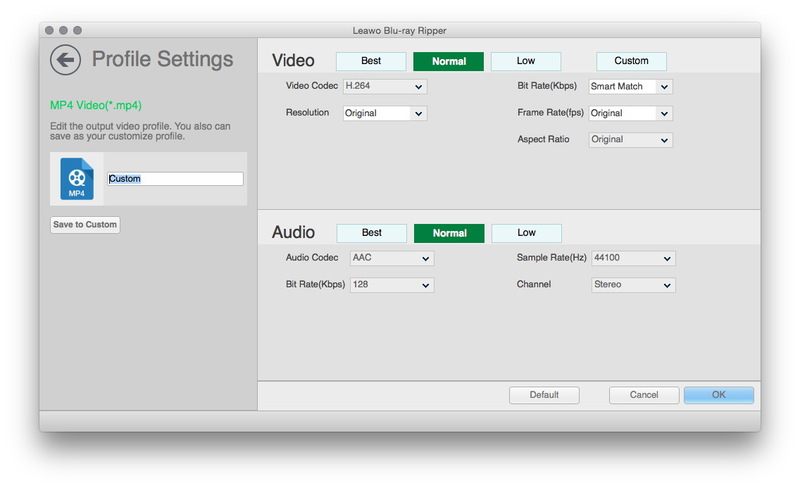 Optional settings: Click “Edit” button on the drop-down box to adjust Video Codec, Audio Codec, Bit Rate, Video Resolution, Frame Rate, Sample Rate, Aspect Ratio, and Audio Channel. Return to the main interface and then click the green “Convert” button on the sub-menu bar to call out a sidebar, where you need to set output directory and click the bottom “Convert” button at the bottom to start DVD to Apple TV conversion. Open the “System Preferences” of your Mac computer, and click on the “Displays”. Then you can open the Airplay. Change the “Airplay Mirroring” from “Off” to “Office Apple TV”, and it will connect automatically. A couple of seconds later, your Mac and widescreen TV will be connected. After that, the converted DVD movies would then be streamed to your widescreen Apple TV once it’s played on your Mac. It does not matter what converter and what method you are using, but it does matter that you successfully achieve the aim of playing DVD on Apple TV. Please have fun watching DVD movies on the large screen of HDTV! The two methods discussed above both require the time-consuming task of converting DVD to Apple TV before watching them on Apple TV. Here I would like to suggest a better way for you to watch DVD on Apple TV yet without converting DVD. In order to bypass the complicated process of DVD ripping, we need to take good advantage of a third-party program, VLC player. As for copyright protection, Apple won’t allow DVD streaming if DVD player on Mac is used, so it is wise to employ a piece of third-party software. Like what is stated above, VLC media player, a free and open source cross-platform multimedia player, will greatly function. Free download and install VLC media player beforehand, and then we can begin to stream DVD to Apple TV for watching DVD directly on Apple TV. Being a powerful program, VLC player is well compatible with all platform, including Windows, Linux, Mac OS X, Unix, iOS, Android and so on. Most importantly, it is a totally free program. Free download and install VLC media player beforehand, and then we can begin to stream DVD to Apple TV for watching DVD directly on Apple TV. In the following guide, I am to take VLC player Mac version as an example to elaborate the DVD streaming process. After the installation of VLC player on your MacBook, launch it, go to “File > Open Disc…” in VLC and open your DVD, like what is showed as illustrated. When the DVD disc is opened, the DVD video will be played on VLC player. The next step is Airplay Mirroring setting. By hitting “System Preferences> Displays”, you can enable Airplay Mirroring. Please bear in mind that during mirroring or streaming process, your MacBook and Apple TV must connect to the same network such as WiFi. Then VLC window will be showed on your large-screen HDTV, which means video and audio is streamed to your TV. Not all iOS devices and MacBooks support Airplay Mirroring. In order to stream video and audio via Airplay Mirroring, we need to prepare two things beforehand. On one hand, an Apple TV (2nd generation or later) is required to receive the video and audio. On the other, an iOS device or MacBook is necessary for sending the video and audio. That’s to say, to get the function of Airplay Mirroring, we need to prepare a sender and a receiver, and the sender and the receiver must connect to the same network. As for receiver, the first generation of Apple TV is not acceptable while the 2nd or later generation can function well. However, for sender, the devices accepatable can be divided into two major parts: iOS devices and MacBooks. iOS devices including iPhone 4s or later, iPad 2 or later, iPad mini or later and iPod touch (5th generation), and Mac running Mountain Lion or higher such as iMac (Mid 2011 or newer), Mac mini (Mid 2011 or newer), MacBook Air (Mid 2011 or newer), and MacBook Pro (Early 2011 or newer) can all be employed as sender.